Angelenos don't exactly love Pershing Square—which explains why the postmodern, concrete-covered park could see a potential redesign by 2019. But that's three years off; we want to take advantage of the park's skyline-framing views now. One group of artists has done just that—at least temporarily. 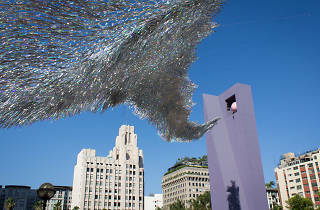 A kinetic sculpture entitled Liquid Shard has covered one section of Pershing Square in a canopy of silver streamers. The installation is tethered from one corner of the Downtown park up to the 10-story purple bell tower; in between, its latticework of holographic mylar strips undulates in the breeze. 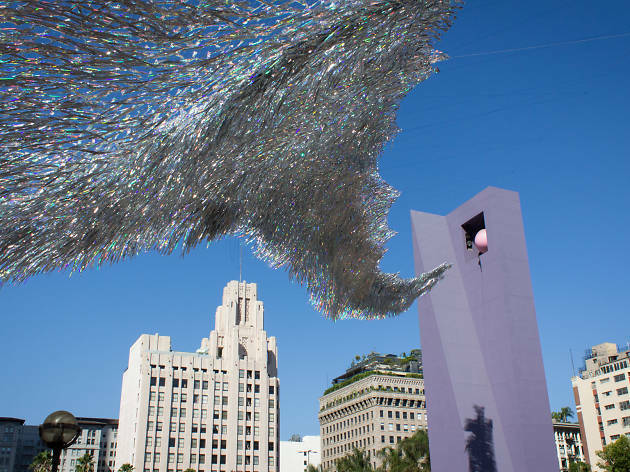 Liquid Shard is currently slated to stay installed at Pershing Square through August 11. 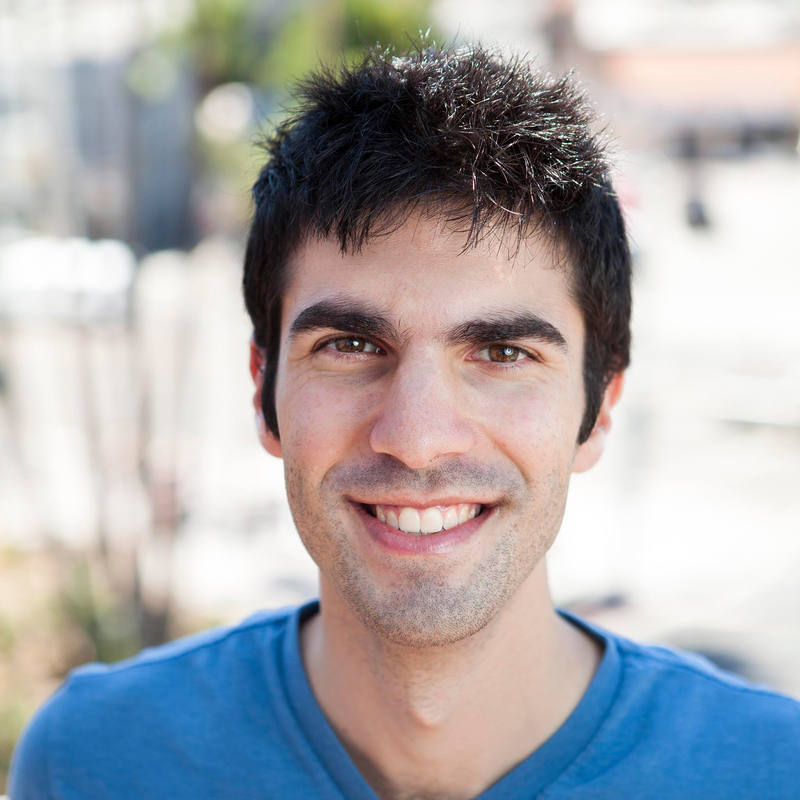 Patrick Shearn of Poetic Kinetics oversaw the installation along with AA Visiting School Los Angeles, a week-long design program for students. Poetic Kinetics is known for its large-scale music festival installations, like the wing-flapping butterfly ("Caterpillar's Longing") and video projection spacesuit ("Escape Velocity") at Coachella. We highly suggest heading over to Pershing Square while the sculpture is still there. In the meantime, you can check out some photos AA Visiting School Los Angeles as they documented their design and installation process.